Young love is supposed to hurt a bit emotionally, but increasingly, it bruises. This article was originally published by WireTap magazine. The Bloods have a strict policy against domestic violence. That’s what a 16-year-old male affiliate proudly told me last year before a weekly “gang awareness” meeting of about fifteen teens, most of them Crips, Bloods or Latin Kings, at a high school in Castle Hill, the Bronx. That week, the topic was domestic violence, and several members of the group, including the 16-year-old, said that hitting a woman was never acceptable. Others argued that there were situations where it just couldn’t be helped. The conversation turned to an article (PDF) I had written about domestic violence in the hip hop industry for Vibe. The rapper Big Pun grew up near the high school, and his devastating abuse of his wife (which started when the couple was just 16) was described in the piece. “I heard she cheated on him,” said the only young woman in the group, and others repeated some of the many rumors that swirled around Pun’s wife when she told her story (up until then she had been Soundview’s favorite widow). Several people enthusiastically launched into scenarios where it was OK to hit a woman. There were many. The bottom line: sometimes you’ve got to teach a woman a lesson if she gets out of line. It sounded like a man’s responsibility. In the midst of the rationalizing, one usually talkative young man stood up and walked out. When he returned twenty minutes later, he quietly told the group that his aunt had recently been murdered by her abusive boyfriend. It was no longer a hypothetical conversation. The jokes stopped. Young men who were significantly invested in their inner gangsters gave them time off, and started talking about how domestic violence had affected their lives–and it had affected most of them. The young woman, who minutes before had been arguing in favor of beating females who didn’t know their place, talked about how despite the rules, male gang members beat up on female gang members. Behind her swagger, she seemed anxious. Why discuss teenaged gang members when the issue at hand is a couple of unaffiliated celebrities? Because frank conversations like the one I described are rare, but they’re crucial to stopping relationship violence and healing the wounds it inflicts not just on its victims, but on their familes, and even on abusers, many of whom grew up in abusive households themselves. Because of one young man’s honesty about his own experiences, everyone else anted up. The conversation got past knee jerk reactions, and revealed some of the pain lurking behind them. It certainly didn’t resolve all the issues that came up, but it was a start that gave a group of teens an opportunity to share the conflicting emotions they had about the issue. 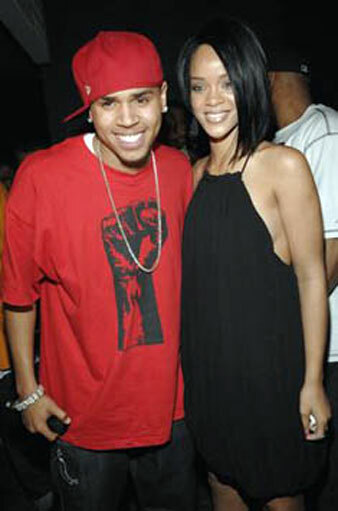 The Chris Brown and Rihanna Fenty situation reveals that dating violence starts early. Without intervention, it doesn’t always stop. Homicide is the second leading cause of death (PDF) of African-American women ages 15-29, after accidents, and a woman’s most likely murderer is her current or former partner. Sadly, when this issue comes up, conversations tend to follow two paths: blaming the abuser or blaming the victim, with little attention given to preventing future violence. In the Brown/Fenty case, it’s “Team Rihanna” versus “Team Breezy,” as if someone wins at the end. But everyone involved loses when violence is the response to relationship conflict. This isn’t a men’s issue or a women’s issue–it’s a community issue. That’s why, instead of getting caught up in the gossip around this star-studded case, we need to start talking about what’s going on among civilians. Young love is supposed to hurt a bit emotionally, but increasingly, it bruises. The Brown/Fenty incident happened at the end of National Teen Dating Violence Awareness week was ending, during the first year on record that teen abuse by both males and females has gone up. (though men’s beatings are much more severe) Just two states, Rhode Island and Texas, mandate education about relationship abuse. (Break the Cycle, which fights teen dating violence, has a petition for more of such legislation). But it’s not just teens who are dangerously in love. Women in Fenty’s age category, 20 to 24, face the highest levels of relationship violence. And the US Department of Justice recently reported that in 2007 (PDF) intimate partner assaults on women were up 42 percent over 2005 (PDF). Native American women face by far the highest official rates of domestic violence–almost double that of anyone else– but African-Americans also face disproportionately high levels. And while working class and poor women face higher rates of reported domestic violence, it’s a problem that doesn’t disappear when the money’s right, as is clear from the Rihanna/ Chris Brown case. Even outside the celebrity gossip cauldron, the alleged victim was allegedly guilty. I was on WNYC radio talking about the case and a psychologist called in to say that her young daughter had told her that Rihanna gave Brown Herpes, so violence was justified. I overheard the same thing from a group of Latino teens on the 7 train, and from a gaggle of NYU students. A friend called me, exasperated that everyone she talked to about the case (four educated African Americans) responded the same way: “I wonder what she did. She always rubbed me the wrong way,” said one. “She must have hit him first,” said another. Some softened their stance towards Rihanna when a photo, apparently of her bruised face after the attack, was leaked. Others did not. Posted on Bossip, February 20: “Her face doesn’t look much different than normal. Those contusions [are] probably the result of an air bag hitting her.” Like many victims of abuse, Rihanna seemed to have taken Brown back, so to some, she now deserves whatever she gets. When an LAPD affidavit detailing the attack was posted on The Smoking Gun, there was considerable sympathy for what she had been through. But despite Brown’s apology, some seemed more interested in an apology from Fenty: there were still plenty of amateur CSI enthusiasts dissecting the document to find inconsistencies in her story. Blaming the victim is nothing new. When my Vibe piece, “Love Hurts” (PDF) was published, the women who spoke to me, wives and girlfriends of well-known rappers, faced rumors that nearly drowned out their allegations. The article sparked many constructive conversations, but other readers asked (loudly) why I aired the dirty laundry of beloved stars like Notorious B.I.G. and Big Pun. And for Pun’s widow, it was her own community that reacted most harshly. Many Puerto Ricans saw her choice to share her story as an attack on their fallen hero; some criticized her and spread ugly rumors, but she had survived much worse. She’d tried to escape Pun three times, and he always tracked her down and dragged her back. When she was finally free to break her family’s cycle of violence publicly, she spoke up. Since that piece was published, I’ve had the opportunity to talk about it in several youth organizations, where I’ve witnessed diverse responses. At one meeting, an older male “mentor” argued relentlessly that a woman who stays in an abusive relationship deserves whatever she gets. It’s a popular position that puts the responsibility on the victim and not on the abuser or the community that turns a blind eye. It also ignores the complicated emotions that arise when you love your abuser. Many don’t want to end a relationship– they just want to end the abuse. At that same meeting, an 18-year-old confided that his girlfriend was physically abusive to him, something a counselor in the program had told me he suspected. The young man explained that he didn’t want to break up with the mother of his child. He loved her, and when she wasn’t angry, the relationship was good. She always said that she was going to change her behavior, but never did. When I wrote “Love Hurts,” I did many more interviews than I could include in the piece. In most, men were the only physical aggressors, but a few of the women I spoke with raised their hands against the men they were with. They called what happened “fighting,” not abuse. Some even threw the first punch. One told me that the scariest thing was waiting for the next attack, so she deliberately provoked it. A petite rapper’s boyfriend beat her so badly that she miscarried his child, but when I spoke with her, she was almost convinced that it was her own fault, because she had been violent too. Some who posted about my interview with Jay would probably agree with her. The vociferous response to Chris Brown and Rihanna Fenty, and the range of perspectives on who has the right to hit whom, make it clear that we need to talk about this issue more often, particularly in schools. At the very least, ladies and gentleman, you may want to check your date’s screen name to make sure you’re playing by the same rules before that first fight. There’s legitimate frustration among both sexes that women’s violence goes ignored. There’s also legitimate frustration that men’s violence against women– much more devastating in terms of hospital trips and homicides–gets minimized. Unfortunately, these concerns are often expressed at high volumes (or in BLOCK CAPS). Others would prefer not to talk about this issue at all. During a recent discussion about relationship violence and music on WNYC radio I mentioned that while reported rates of intimate partner violence among African-Americans are high, Latino rates are underreported. A male Latino listener wrote in and said I was stereotyping our community. As if on cue, right after the interview, I read in El Diario about a Latino police officer who had just been sentenced to 10 years for murdering his Latina cop girlfriend. “Communities find it easier to focus on oppression that comes from outside than on what we do to ourselves,” Dr. Oliver Williams, executive director of the University of Minnesota’s Institute on Domestic Violence in the African American Community (IDVAAC) told me for the Vibe piece. Recently, Racialicious’s Latoya Peterson wrote in a blog post called “Fighting Sexism in a Community Assaulted by Racism”: “I notice on a lot of threads men tend to become extremely defensive when women want to talk about things that are literally killing us. In the month since the Chris Brown and Rihanna case broke, bodies of women killed by their current or former intimate partners have piled up. An ex-cop was just arrested for fatally shooting his former girlfriend in Brooklyn. A young mother in East New York was killed by her ex-boyfriend, who also shot her new girlfriend. In Birmingham, Alabama a man stabbed his ex-girlfriend and her three housemates to death. A woman in Michigan was shot and killed by her estranged boyfriend. In Tennessee, an 18-year-old wife was murdered by her husband. An angry ex in North Escambia, Florida murdered a pregnant 19-year-old and her boyfriend. In Atlantic City County, a man stabbed his girlfriend to death and then set her condominium on fire, killing himself. An 18-year-old cheerleader was murdered by her boyfriend in Charlotte. On average, three women are killed each day by their current or former romantic partners. Those are just a few cases from the past week. Though they weren’t profiled in People, these women are more than statistics. They are daughters, sisters, mothers, and they were shot, choked, stabbed, and burnt to death by men they dated or married. But just like there will always be people who believe that victims of police brutality deserved it, there will be those who blame victims of relationship violence for “getting themselves beaten.” Blaming the victim absolves the abuser and isolates the individual case, making it easier to ignore the pattern that connects these deaths. Back in that room at Stevenson High School, the obvious response to violence against women for a group that had grown up in its shadow was clear: laugh it off, justify it, pretend it didn’t affected you. For women in particular, there’s a strong incentive to believe that you will only be attacked if you provoke someone, and that the women who get hit deserve it. If you ackrite, as Dr. Dre used to say, you’ll be fine. But there was a young man in that room who had lost someone he loved, and he wasn’t buying the bravado. He knew that she didn’t deserve to be murdered by the man who shared her life and her bed. The other young people in the room knew it too, but in that intimidating environment, it was easier to act tough than to admit to shedding tears just a few years before when your father beat your mother. There’s a lot of pain, a lot of baggage that needs to be unpacked in order to really heal, but it has to be done. Recent FBI stats on intimate partner homicide, from 2005, show that 1,181 women and 329 men were killed by their intimate partners that year. So we can keep hypothesizing about who hit whom first in the Brown/Rihanna case or we can start dealing with reality. Relationship violence is killing our communities. Ignoring it won’t make it go away. Elizabeth Méndez BerryElizabeth Méndez Berry, an award-winning journalist, has written about culture and politics for publications including the Washington Post, the Village Voice and Vibe.